We’ve returned from the mountain very early today as whilst we could actually drive to our usual parking space we could only see about 3 meters. So we’ve come back to the farm to charge some batteries and do other jobs. 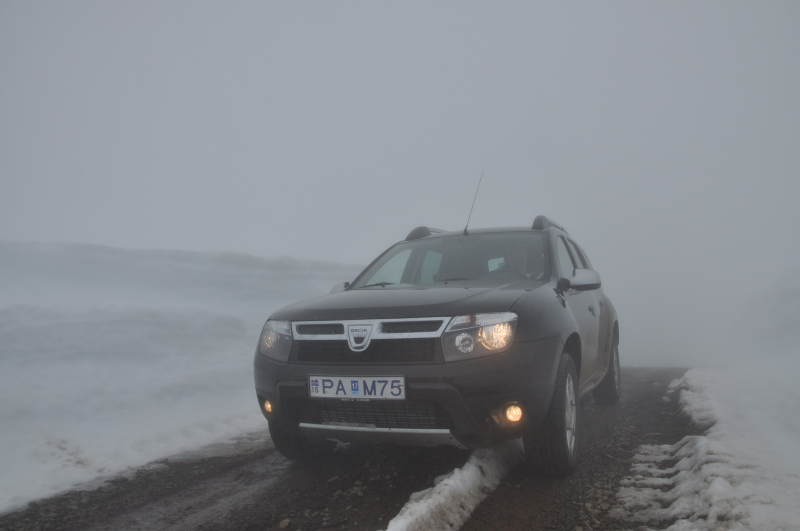 Our Dacia Duster on the road back from the glacier, between walls of about 1.8m high snow.